The Environmental Protection Agency (EPA) has approved a full section 3 labeling of TOPGUARD® TERRA Fungicide for use in the treatment of Cotton Root Rot, caused by Phymatotrichopsis omnivore. In the past, Texas, Oklahoma and Arizona have been granted Section 18 Emergency Use Exemption for the flutrialfol concentration. With the Federal label release, the product is now available for state review in the Southwest where the product is intended to be used. Cheminova, the manufacturer of TOPGUARD® TERRA recommends a T-band application at a rate of 4-8 fl. oz. per acre depending on the management of your operation. “We have succeeded,” say Dr. Bob Nichols, Senior Director at Cotton Incorporated, who has helped lead by organizing and funding research through the Cotton Research and Promotion Program. “This is a tangible accomplishment!” Dr. Nichols was recognized at the Beltwide Cotton Consultant's Conference for his role in solving the Cotton Root Rot problem, which had defied 100 years of research. Producers are encouraged to contact their local pest control consultant for more details on use of the product. J. Dukes Wooters, Jr., first president of Cotton Incorporated, passed away in January of 2015. He was a resident of New Canaan, CT. Wooters was the first marketer to promote a commodity directly to consumers. 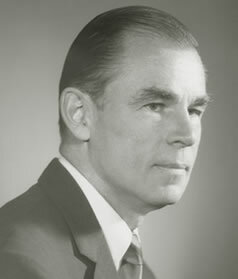 He established the organizational structure and early activities of Cotton Incorporated. 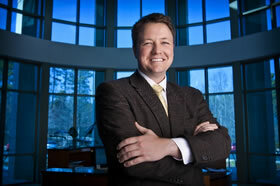 “Dukes was a marketing genius,” says Nick Hahn, Wooters’ successor at Cotton Incorporated. “He was exactly what the US Cotton industry needed in the face of aggressive competition from the large chemical companies.” Wooters also introduced the Seal of Cotton as a brand icon for products containing cotton. More than forty years after its introduction, the Seal of Cotton is among the most widely recognized American brand icons. Wooters has been honored for his innovative marketing of cotton, leadership and the enduring value of the Seal of Cotton. In December, he was honored as one of the inaugural inductees into the Cotton Research and Promotion Hall of Fame. Students at six Harmony Public Schools in Austin, Texas will be collaborating with the Blue Jeans Go Green™ denim recycling program. Hundreds of elementary school children will be recycling old denim into natural cotton fiber insulation. The schools will implement the program beginning on Tuesday, February 10 and the denim drive will be held until Friday, April 17. Participation in the denim recycling program will serve to educate the children to recycling and sustainability initiatives that are part of the curriculum. It will also give students an opportunity to give back to communities in need. As an incentive to participate in the program, these uniform-only schools will allow students who donate to the drive to wear jeans to school. 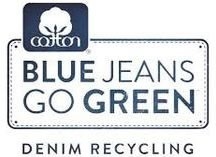 “We are thrilled Harmony Public Schools of Austin have elected to participate in the Blue Jeans Go Green™program to educate students about cotton and sustainability,” said Andrea Samber, Co-Director, Strategic Alliances at Cotton Incorporated. “A Harmony Public School in Houston contributed over 1,000 pieces of denim to the program on their own last year, so we are very excited to officially be collaborating with the schools in Austin on a grander scale.”Cotton Incorporated has worked with Bonded Logic who has made the insulation since the program’s inception. The recycled denim is converted into UltraTouch™ Denim Insulation and then given to organizations such as Habitat for Humanity to help communities in need. The program not only helps local communities, but the environment as well. To date, Blue Jeans Go Green™ has helped to divert over 600 tons of denim from landfills. The Cotton Board’s Communications team will be hosting a booth at the Mid-South Farm & Gin Show on February 27 and 28. The event is held each year at the Cook Convention Center in Memphis, Tennessee. This year the Cotton Research and Promotion booth, which will be in the main exhibition hall, will feature information on the Cotton LEADS™ program and, as always, The Cotton Board booth will be stocked with our always-popular lip-balm and friendly communications representatives, so make sure to stop by. Movement in global cotton prices was mixed over the past month. The A Index and NY futures shifted slightly higher, Chinese prices drifted lower, while Indian and Pakistani prices were flat to slightly lower. Following this month’s USDA report, prices for the March NY futures contract rose above the 62 cents/lb mark for the first time since November. Support for U.S. prices may have come from strong export sales and forecasts calling for a decline in acreage in 2015/16. In the latest USDA report, the forecast for the 2014/15 world cotton harvest was revised slightly higher (+206,000 bales to 119.4 million) while the forecast for world cotton mill-use was revised lower (-985,000 bales to 111.3 million). In just the past four weeks of sales data, the U.S. export commitment increased by 2.0 million bales. The recent pickup in sales led the USDA to lift their forecast for U.S. exports by 700,000 bales (to 10.7 million). Virtually all of the recent acceleration in U.S. sales resulted from new contracts signed with China and Vietnam. The National Cotton Council (NCC) released results from their survey of U.S. cotton producers’ planting intentions February 7. Findings suggest that total U.S. cotton acreage will decline 14.6% in the 2015/16 crop year (from 11.0 million to 9.4 million). Upland acreage is forecast to decrease 15.2% (from 10.8 million to 9.2 million acres), while pima acreage is expected to increase 22.8% (from 192,000 to 236,000). The NCC multiplied expected acreage by state-level averages for yield and abandonment to derive a theoretical 2015/16 national harvest of 14.0 million bales. However, as has been the case for the past several crop years, the amount of precipitation in West Texas and the volume of Chinese import demand will likely be key variables that could push or pull U.S. stocks tighter or looser and could be expected to shape price direction.